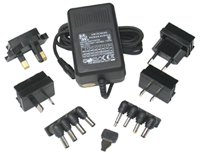 <?xml:namespace prefix = w />These are products for powering our products which includes AC to DC power adapters. We also offer a variety of cables and connectors to make installations easier and neater. The variety of cabinets will simplify installations as in most cases, multiple units can be powered with one power supply and provide additional flexibility in how the products can be powered. 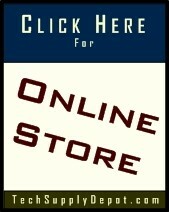 Click HERE for more information on selecting the proper power supply. Polarity must be observed on all of our products. On the ends of the connectors, TIP must align with +. Reversing polarity will not damage our products, they simply will not work until properly connected.